Technology advancements make crawling around the valve box trying to program or troubleshoot a battery powered controller a thing of the past. 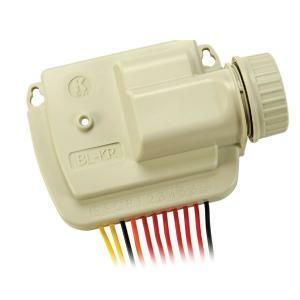 The BL-KR Battery Powered Bluetooth Controller puts all the programming control in the palm of your hand, through direct Bluetooth communication, up to 32' away from the valve box. Free APP can control up to 200 controllers. Ideal for isolated/remote valve boxes where power is not an option.